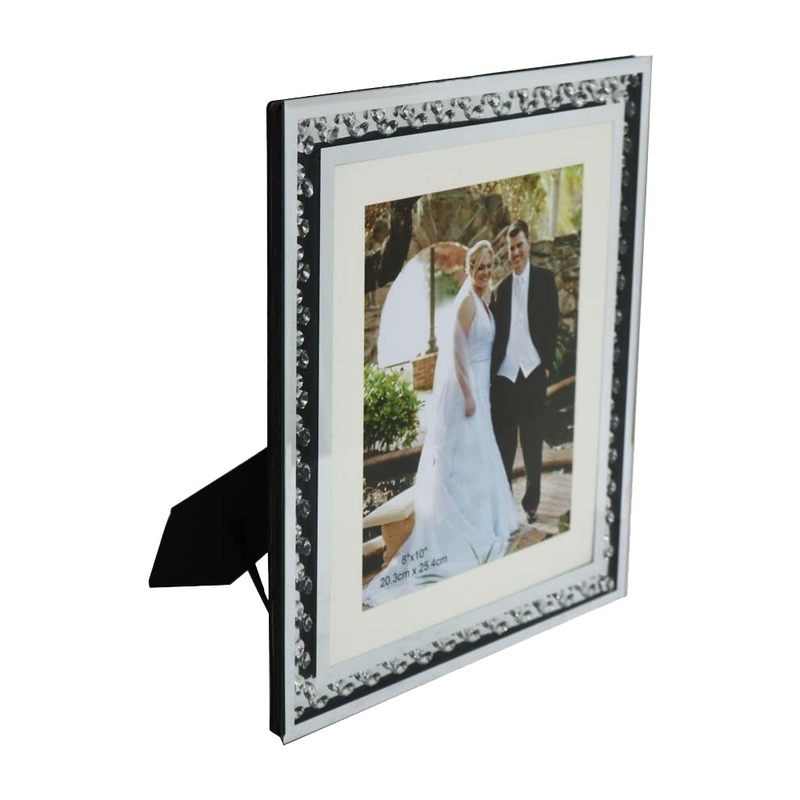 This is a gorgeous photo frame, the decoration around the picture is simple and pretty. This is a perfect photo frame for you to have on your desktop or bedside table. The photo frame is decorated with glass crystals and made from mirrored glass and MDF.